creating space to talk & connect. which is why we are creating an acre of land, right in the middle of Farnham, to do just that. It is a space for people of all ages within the local community to improve mental health and well being. Nature has a unique ability to help people to feel happier and more connected. The project aims to help people get more out of life. We have a welcoming shed overlooking the space, the perfect place to share and talk. A Vegetable garden where you can dig & cultivate and a beautiful wild flower meadow as sometimes you don't need to talk, just space to breathe, reflect..and grow. See below to find out more about the projects we are running, or come and speak to us and find out how you can get involved. Gardening has many proven emotional and psychological benefits. We have the space to create a varied garden with numerous projects to get involved in. We run regular sessions every Wednesday where you are welcome to see if the project is right for you. The course encourages parents and carers to enjoy bringing up children and get the best out of family life. One of our core aims is to nuture the habitat and encourage nature conservation. 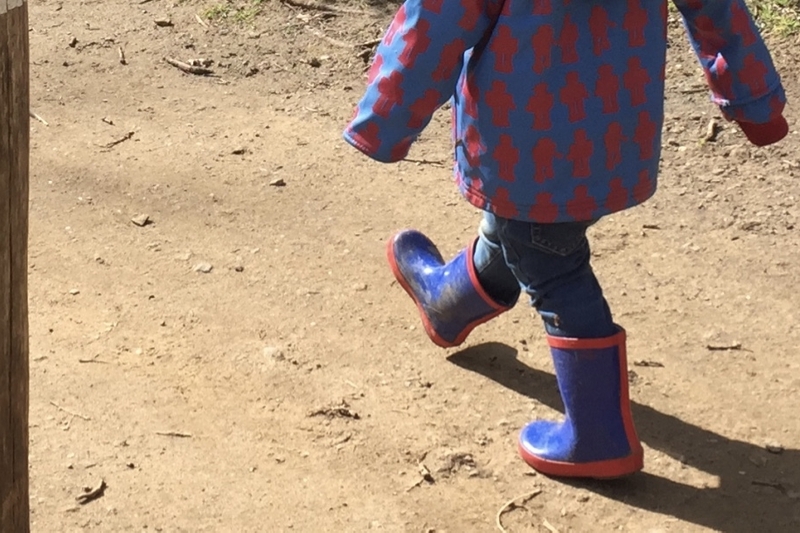 With designated areas to encourage wild life such as hedgehogs and toads, the meadow provides the perfect natural playground for children of all ages to explore. Please get in touch to find out how you can volunteer. Despite the recent wild stormy weather our new shed is very nearly complete…all the electrics are in, it's fully insulated and solid as a rock! Work has finally started on our much longed for gardening cabin! For months we’ve had the square of rubble, promising to be the foundations and finally it’s going up, another milestone for space2grow! On our regular gathering on Wednesday it was like Picadilly Circus with guests and visitors, volunteers and the acre pack all making the most of the wonderful weather. Nothing heralds the change of season as well as the bright yellow daffodils with their ' trumpets' proudly announcing that spring is coming. With such lovely weather drifting over the acre it is truly magical to see the changes, knowing that longer and warmer days are on the way. On Wednesday it was busy, busy, busy as we made great strides under Nicks guidance in laying our new path. The ground was prepared before a membrane to suppress the weeds was laid down. This week saw us start the second layer of our willow fencing which also meant harvesting the boughs by pollarding the trees by the stream. After a bitterly cold start we were soon bathed in sunshine and worked under a perfectly azure sky. It was a real treat on Wednesday to have John Negus on the acre and he gave us an insightful demonstration on caring for our trees. A rather wet and windy Wednesday meant that we had a week of planning rather than out pottering in the rain! Despite the wet start we did get the acre looking a lot smarter although it was too damp to do much strimming. The cabin lawn was mown together with areas around our vegetable strips.